Srinagar, Aug 20 (KNS): Kashmir Valley is all set to celebrate Eid-ul-Azha on Wednesday with traditional fervour and gaiety. 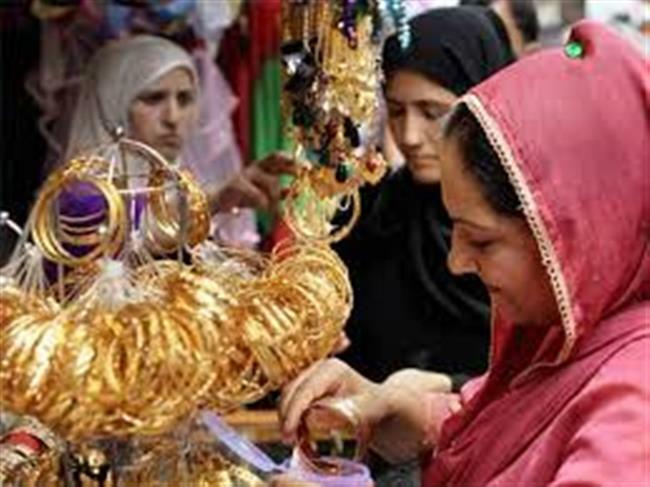 Markets across the Valley, including the summer capital Srinagar, wore a festive look on Monday as people came out in large numbers to shop. People in Kashmir usually observe Eid-ul-Azha for three days and the festival begins with congregational prayers in the morning. However, holidays are officially observed for the first two days of the festival. According to Kashmir News Service (KNS) correspondent, a huge rush of shoppers was witnessed at marketplaces across the city. People were seen buying sacrificial animals, bakery and other goods. As Eid prayers are held in all mosques and shrines of the Valley on the occasion, the largest congregation will be held at the revered Hazratbal shrine on the banks of Dal Lake and historic Jama Masjid. After the prayers, people usually sacrifice cattle to honour Prophet Ibrahim’s willingness to sacrifice his son before God. Later, sacrificial meat is distributed among the kith and kin besides the needy. Eid greetings are also exchanged while ‘eidi’ is distributed among children. People cook a whole lot of non-vegetarian delicacies on Eid and households remain stocked with meat for over a week following sacrificing of cattle. Many families also order ‘wazwan’, traditional Kashmiri food, on the occasion. The business hub Lal Chowk, Goni Khan and Maharaja Bazaar in the city witnessed a heavy rush of shoppers, leading to traffic chaos on all major routes. Traffic policemen have a tough time in next two days to manage the traffic. Fearing that the roads witness heavy traffic jams, some locals said they prefer to shop during the evening as the rush of shoppers lessens during that time. People were mostly seen buying bakery, confectionery, toys and clothes. Shoppers complained of increase in prices of essential commodities. However the authorities claimed that checking squads conducted market inspections to curb inflating rates. Many shoppers, who spoke to this KNS correspondent ,complained that price of vegetables, fruits, and other items have been ‘arbitrarily increased’ manifold by traders in view of Eid.“The Food, Civil Supplies & Consumer Affairs department is doing nothing to curb this problem. The claims of having constituted market checking squads seem to have fallen flat because the traders have increased prices of commodities arbitrarily,” said Shabir Ahmad, a customer at Lal Chowk.